On your return to the Morro do Adeus Station, you bump into a troop of twenty young people at very serious play, creating a theatrical intervention learnt from the French. The Mozart prankster you left behind downtown would have loved it. 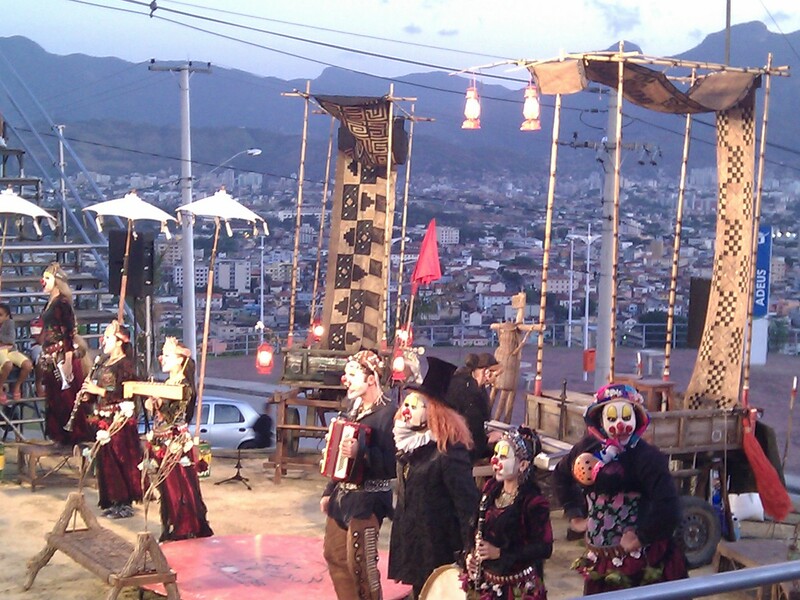 Then you watch– in the most awful cold, since Goodbye Hill is in fact on a hill, with a polar wind to boot– the play Sua Incelença, Ricardo III, staged by a troupe from the state of Rio Grande do Norte. 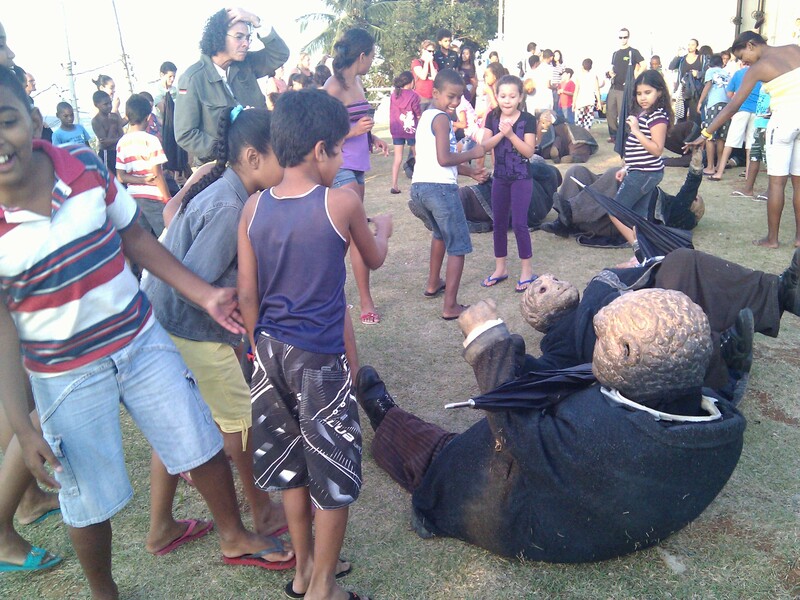 They’ve just given a series of workshops for actor, director, musicians and theater students, all Alemão residents. Young members of a local theater group sit next to you, wearing t-shirts and jeans. They shiver just like you. Last, a blindfolded dancer from Porto Alegre moves with great confidence. She even climbs the wire fence around a soccer field, accompanied (musically) by a local composer. You identify. But she knows the territory like the palm of her hand; she’s done a two-week residence here. Hostels are appearing in favelas with police pacification units. And the middle class goes up the mountain to eat feijoada with a touch of authenticity, much cheaper than in the formal city. 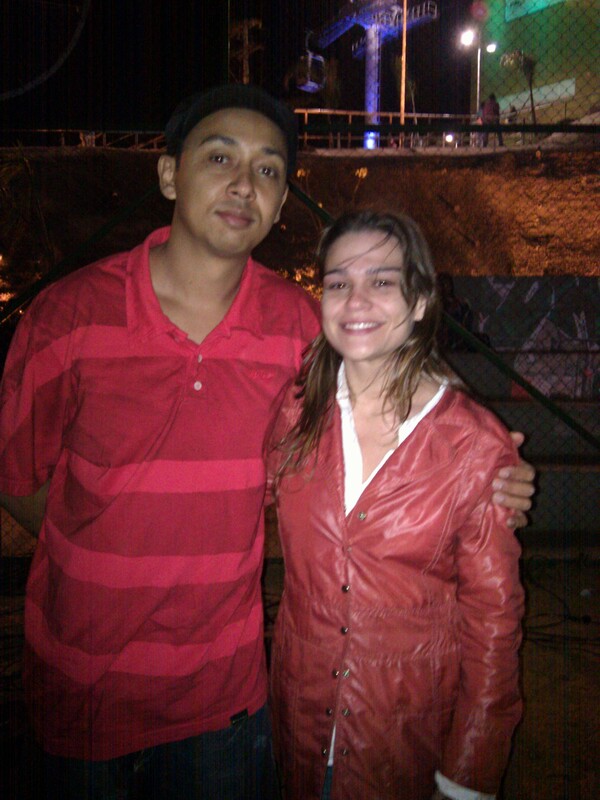 A resident of the Santa Marta favela, Silva easily lists the post-pacification cultural novelties (i.e., parties with live samba) : Morro de Alegria, Favela Chique, Por do Santa. Botafogo, a neighborhood where stray bullets used to rain into the gardens of the City Palace (the mayor’s headquarters), has become a favela gateway. Another map mutation. Son of a maid and a samba composer, Silva also complains that the folks who climb the hill to get a kick out of the samba de raíz revival end up marginalizing the kind of samba the locals prefer, pagode. And the pacification authorities tend to ban funk music, especially when the words glorify the drug traffic. Silva fears that samba schools will lose their place in carioca culture. It’s getting to the point, he adds, when schools will have a section just for favela residents– who used to save a section for outsiders. 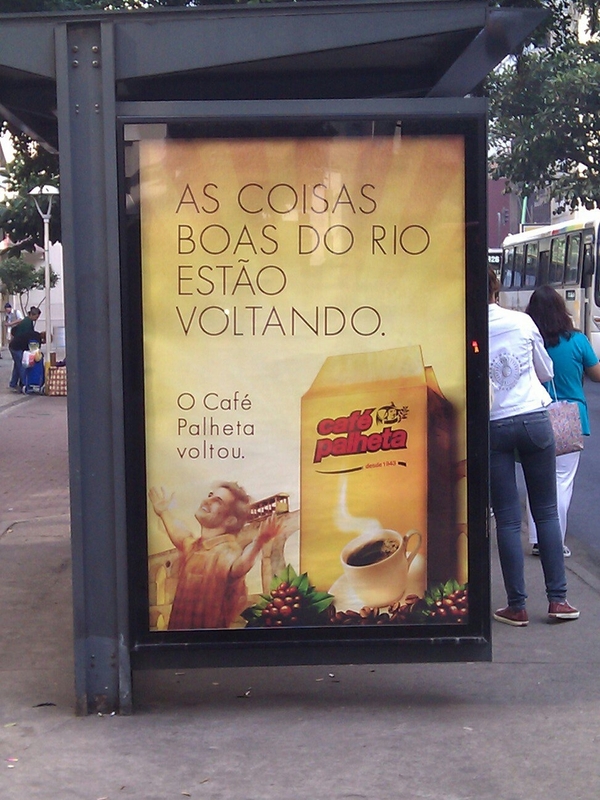 "The good things of Rio are coming back"
Yup, pacification and its ramifications are, as do the Padox, poking holes in the logic of people, barriers, and territories. 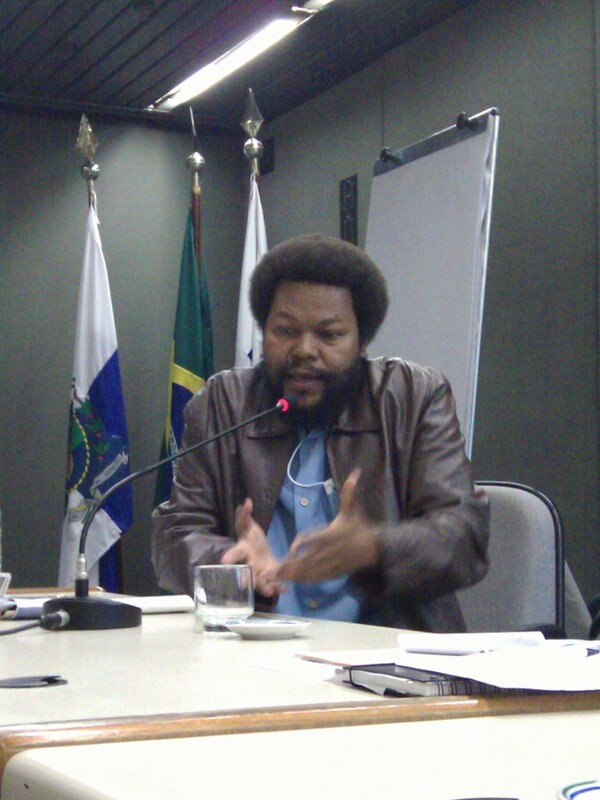 Silva suggests a kind of protected area in favelas, and to “think about [urban] integration”. Historic preservation? And what of the hilltop resident who wants to make the most of his real estate’s appreciation? It’s not easy to say what ought to be preserved, who will stay, who arrives and who leaves as soon as possible. Public policy for Rio’s favelas evolved through the decades from removal in the 1970s, to urbanization in the 1990s, and, starting in 2008, urban integration. By 202o, the Morar Carioca program is supposed to upgrade housing and general life quality conditions in all of Rio’s favelas, to the level of all its other neighborhoods. The architects’ drawings are lovely, full of greenery and clean environments. 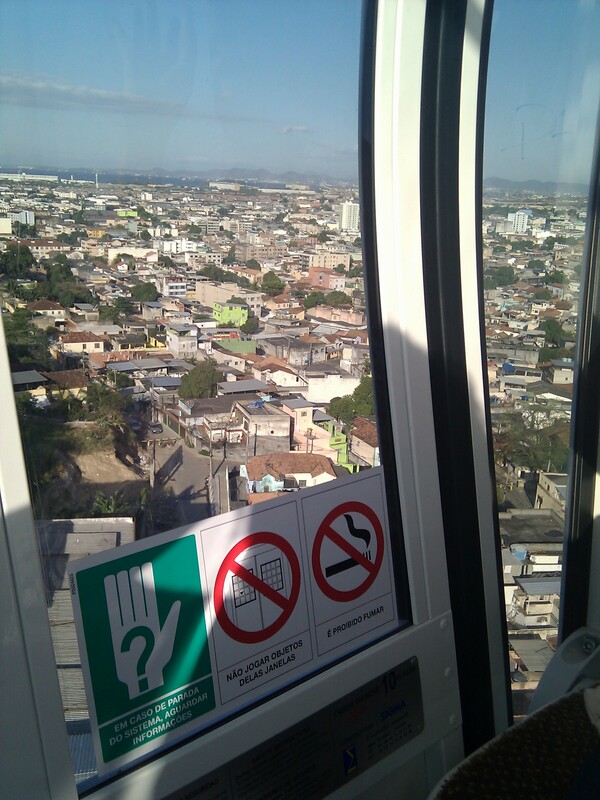 In 2020, in nine years, who will a favela resident be? How many will be poor, and where will they live? And by 2030? There’s no debate going on about this. Reality pricks our imaginations. 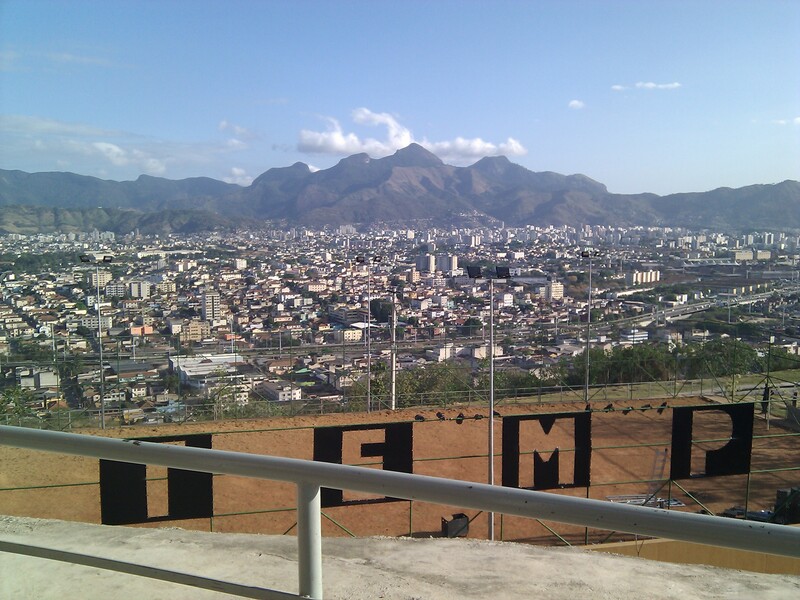 Just as a cultural outing at the Complexo do Alemão was until recently unthinkable, few foresaw that Brazil could become a mostly middle class country. 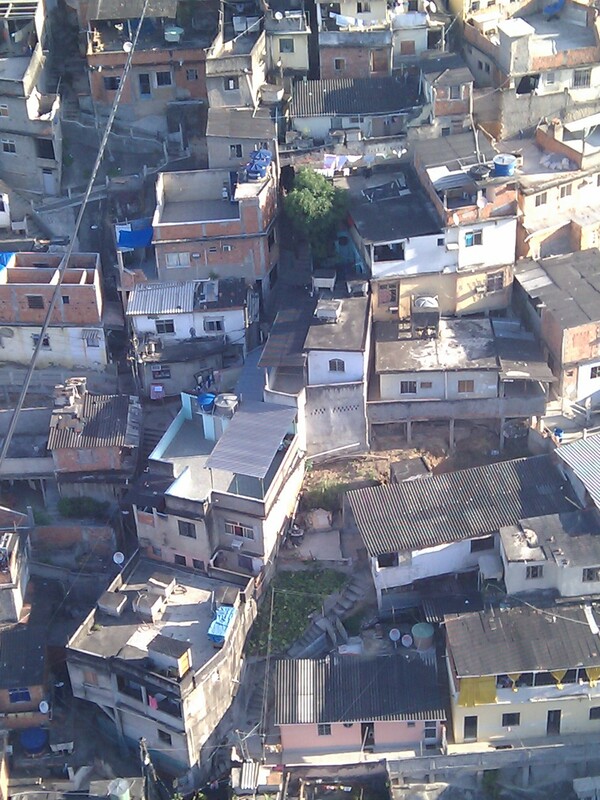 Favelas were never meant to exist– that’s why they were ignored for so long. 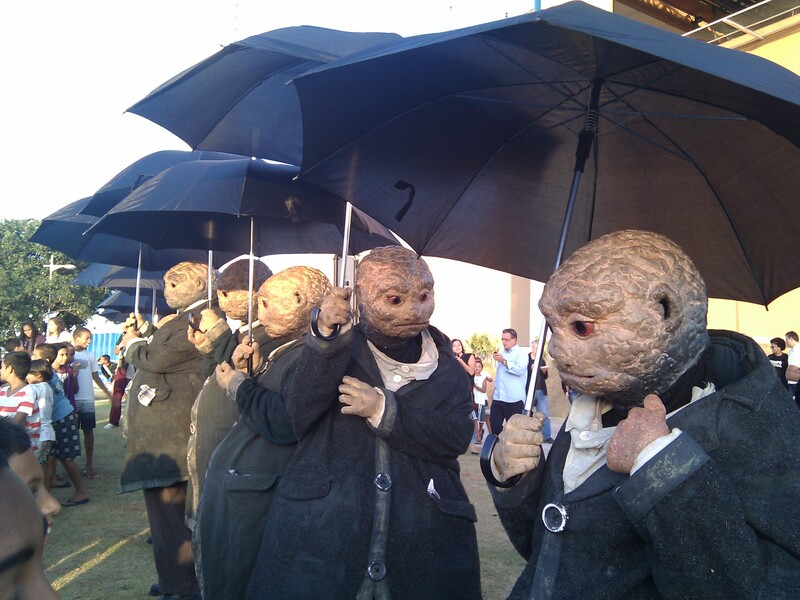 Now that they’re getting attention and investment, they risk becoming mere quaint districts. Is that a bad thing? 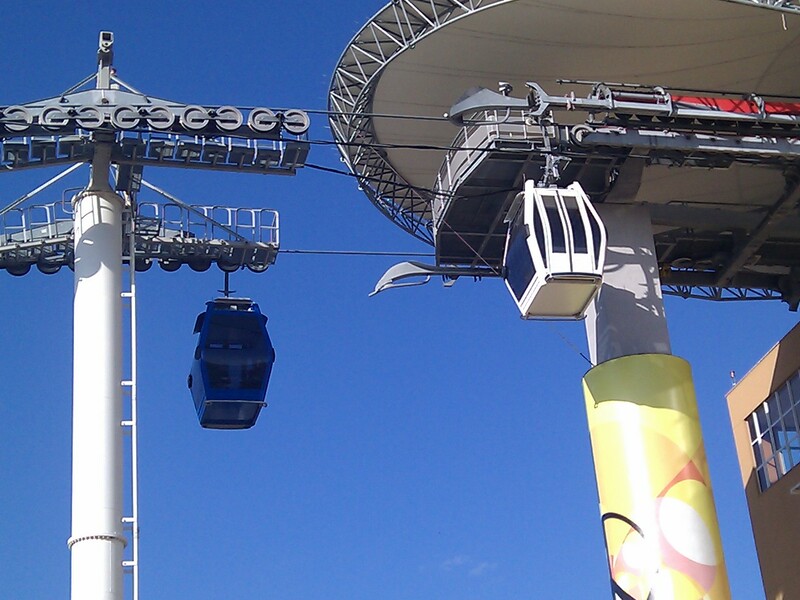 While the future gets itself into some kind of shape, a great deal of money is being spent by companies such as Petrobras and Oi, as well as state and municipal governments, so that cariocas from different parts of the city can share experiences and create new partnerships. 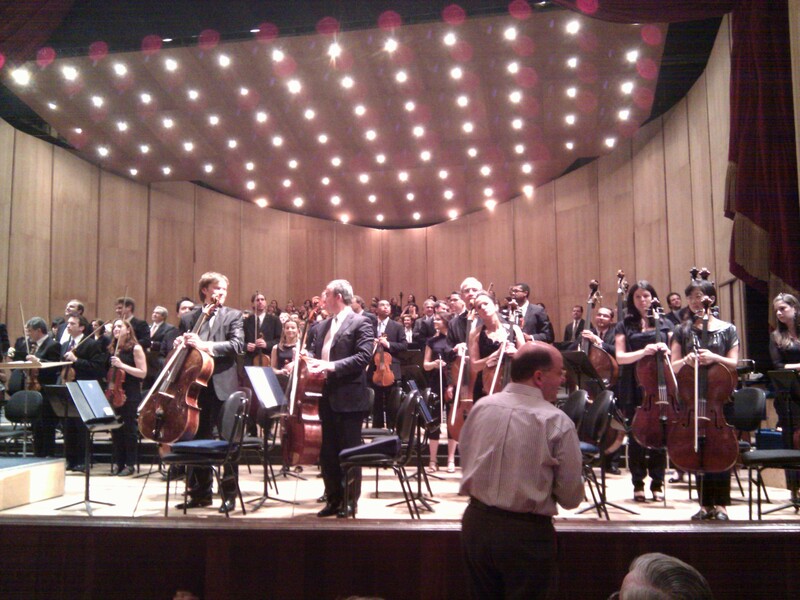 In August, the state of Rio announced a record investment of US$ 21.6 million equivalent in culture for this year and next. Of this, US$ 263,000 equivalent will go towards the production of music videos, CDs and projects related to the history, communication and circulation of the controversial funk style of music. This is a positive accessory to the urban mobility we’ve just gained–one which can only strengthen peace and democracy. This entry was posted in Brasil, Brazil, Transformation of Rio de Janeiro / Transformação do Rio de Janeiro and tagged cable car Complexo do Alemão, Companhia Clowns de Shakespeare, Complexo do Alemão, Eddu Grau, IBASE, Itamar Silva, Morro do Adeus, pacification Rio de Janeiro, Padox, public safety Rio de Janeiro, Rio de Janeiro revitalization, Roberta Savian, Santa Marta, Tempo Festival, UPP. Bookmark the permalink. I enjoyed the report. the term Hutong is usually associatated with the courtyards around which the four homes are built inthe periphery of the Imperial city/Palace in Beijing and they , as will the carioca hutongs, have become quite expensive. the “gentrification of the Inner city ” has become a global endeavor. It is not conducive to a mixed income neighbor hood.